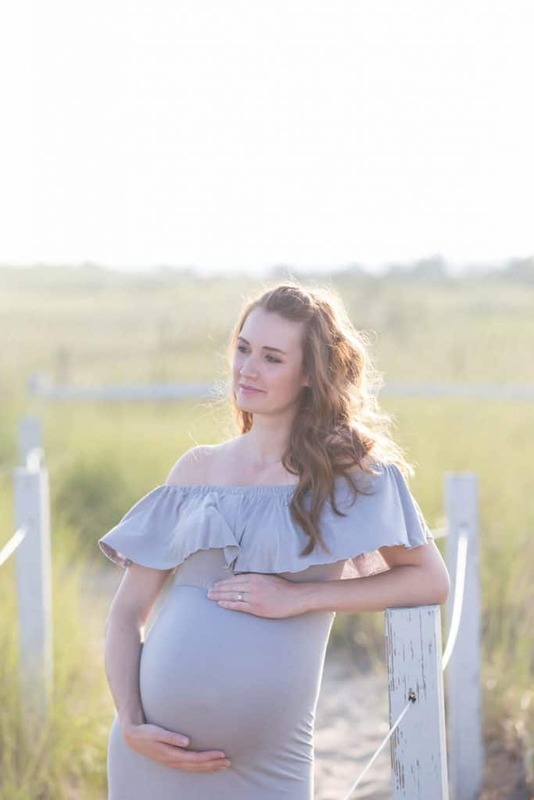 I have always loved looking through maternity photoshoots—there is just something so gorgeous about celebrating a mama and her baby with beautiful photography—but never took them with Charlie and was a bit bummed about that. 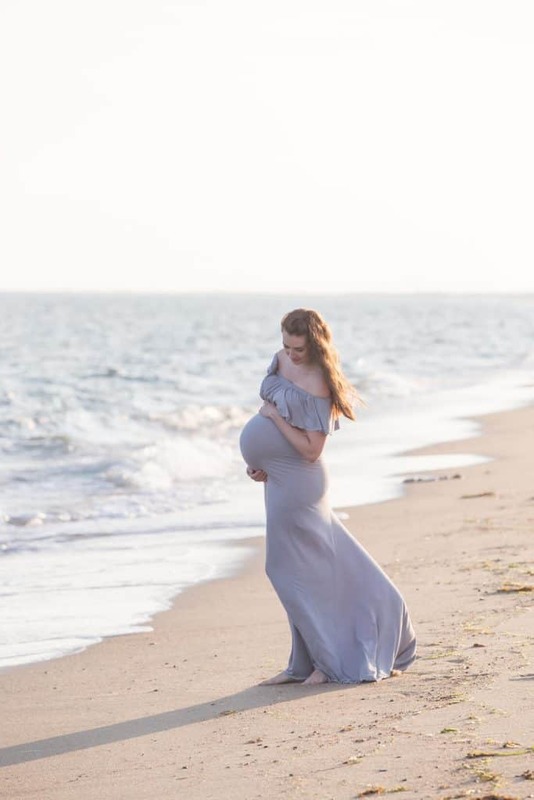 So when I was given the opportunity to do a beach maternity photo shoot with Cathie from Emerald Eye Photography, I was so excited! 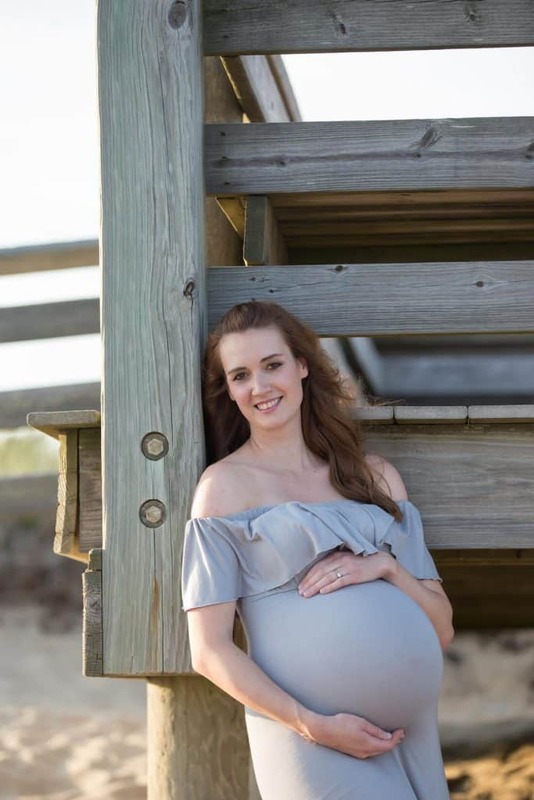 While most mamas-to-be do their photoshoots somewhere between 30 and 35 weeks, we headed out to the beach when I was 39 weeks—and oh so ready to be done and delivering! I was actually a bit nervous to do the shoot because of that. 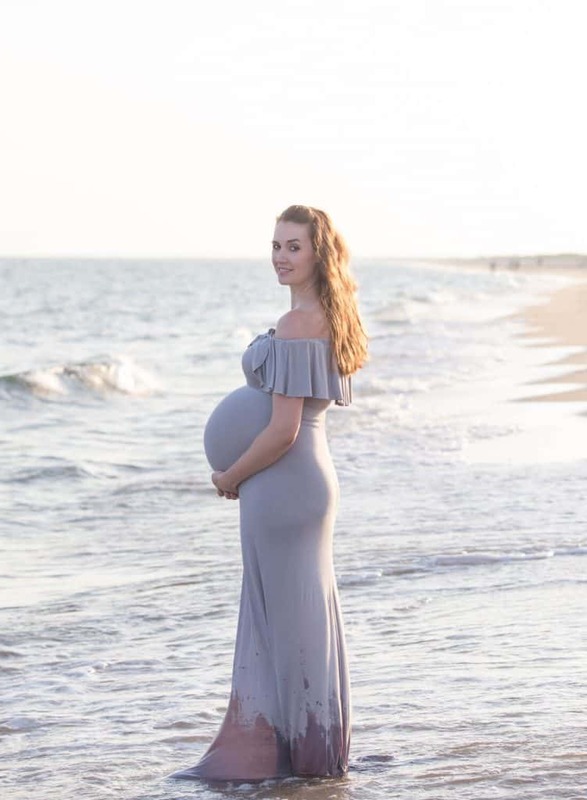 At that point in my pregnancy I was feeling quite worn down, bloated, and well, basically like a whale waddling through the summer. 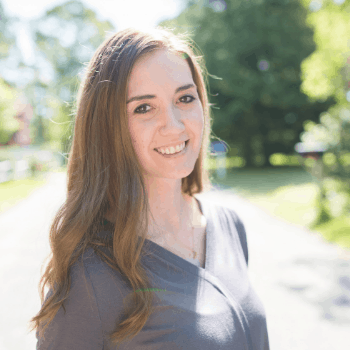 But the magic of great photographers is that they are able to make even the most tired mama feel gorgeous, and Cathie was able to get some great shots that I will truly treasure. 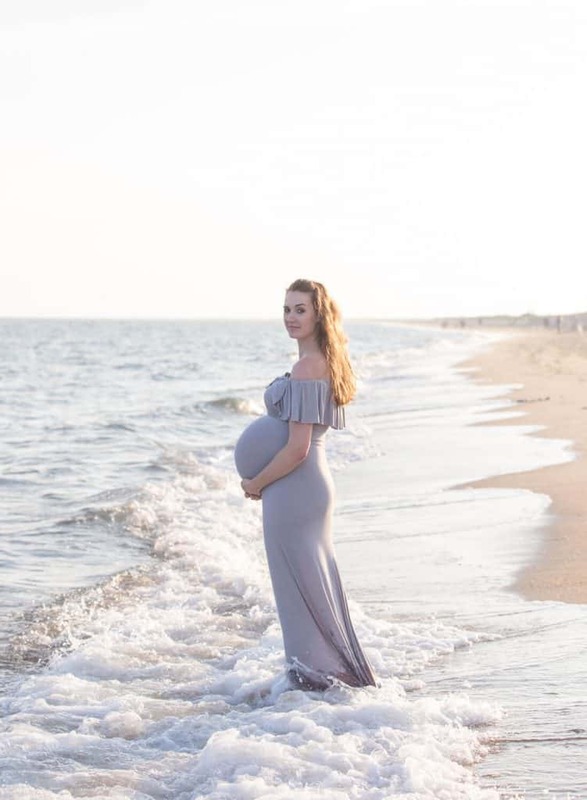 Hope you enjoy my beach maternity photoshoot—we took it on the beach here on Cape Cod, in the middle of the summer, so we had quite an audience! This post contains commissioned affiliate links. P.S. 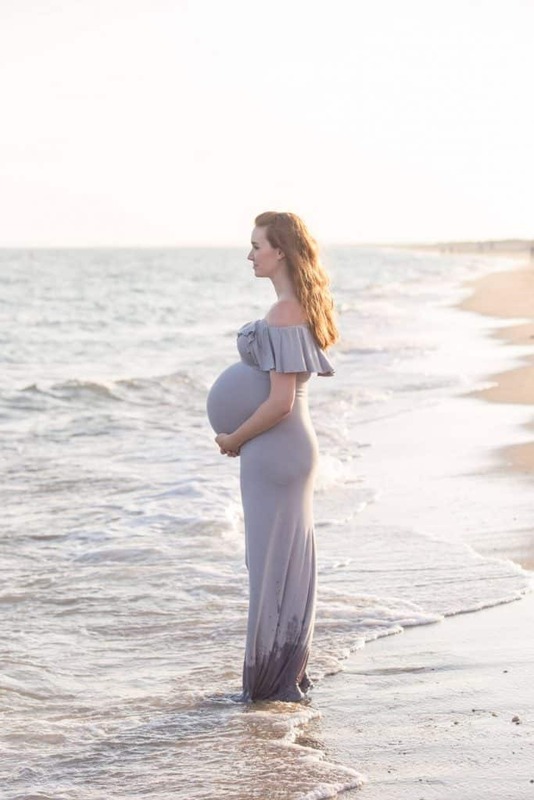 I found my maternity dress here on Amazon—it is a great deal for maternity photo shoots and would work really well as a baby shower dress too (and comes in lots of colors). It was incredibly windy on the beach, and full of tourists, but it ended up being a lot of fun too! Special thanks to Emerald Eye Photography for these photos!